With over 20 years of experience in the financial industry, Dan Ma has gained recognition for her dedication to clients and her ability to add value, often beyond expectation. Integrity and professionalism, together with her investment management experience are the cornerstones of her professional wealth management practice. She also strives to act in clients’ best interest as she consistently endeavors to provide a high level of advice and guidance to help achieve their financial goals. Dan Ma has strong academic credentials. She holds Bachelor of Commerce degree from The University of International Business & Economics, Beijing China. Her MBA degree with a leading French business school, EM-Lyon Business School and Chartered Financial Analyst® (CFA®) designation serve her well and have helped her to excel at some of the top financial institutions in the world. 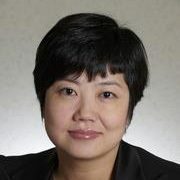 Her International background and prior commercial banking and investment banking experience in China, HK and Canada help her to add value in advice for Business Owners, Professionals, Corporate Executives, Retirees and New immigrants and to integrate tax strategies and wealth planning considerations into their investment solutions. With integrated approach, Dan Ma can engage TD Specialists who can provide expertise to clients with estate planning, business succession planning, tax planning, and legal considerations. She also has access to research and analyst reporting as well as a dedicated client service associate to help her help clients achieve their goals. Clarify individual needs through assessing different wealth considerations at various life stages. Establish specific goals and plans. Create and deliver integrated solutions designed to help with wealth accumulation, preservation and mitigate risk.